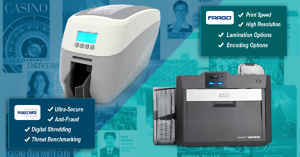 the Fargo HDP5000 ID card printer. Fargo has launched an enhanced version of its HDP5000 printer this year and the success has been immediate. 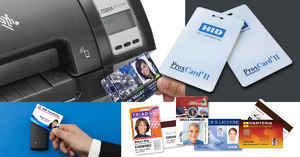 The HDP5000 produces ID cards with the highest image quality available. By printing a reverse image on the underside of HDP Film, then fusing the film to the card surface, the HDP5000 creates superb image quality. 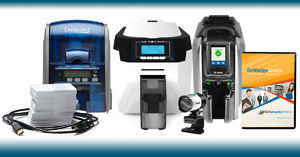 The HDP5000 is one of the most affordably priced reverse transfer printers on the market today. Cards, ribbons and overlaminates literally load in a snap via the cartridge based system. 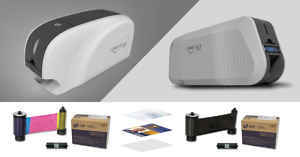 Sharp image quality and new half-panel ribbons make High Definition Printing even more economical. Fast printing, combined with a dual card input hopper for multiple card types help you fly through the biggest production jobs. The HDP5000 is exceptionally reliable, which means less printer downtime. The printhead never comes in contact with card surfaces or debris so it never gets damaged in the printing process. As a result, you get highly secure badges that are durable and tamperproof. 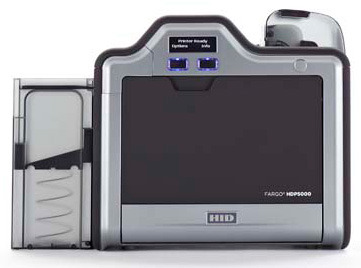 The enhanced Fargo HDP5000 ID Card Printer comes with an industry-leading 3-year warranty including one year of free printer loaner support! 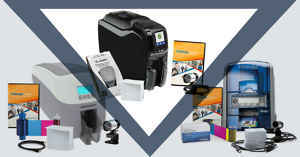 For more information about the HDP5000 ID card printers, call us at 1-800-897-7024 or visit our HDP5000 ID card printers page.